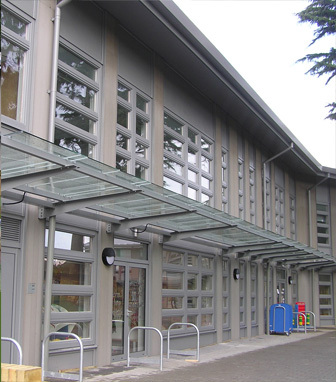 The Rosedale Primary School in Hayes, Middlesex was scheduled to move in to a new purpose-built premises in September 2014 as part of the desire of the Rosedale Hewens Academy Trust to create small schools that allow staff to better engage with pupils. The mission of the academy is centred around providing the best education possible for its learners which extends beyond the boundaries of the classroom to the playground, to extracurricular activities to the school buildings themselves. The school wanted to create a modern, safe and sustainable building that would foster its ideals of engagement and achievement. The trust appointed leading UK and global infrastructure group Balfour Beatty for the site build. Balfour Beatty’s longstanding great history in UK infrastructure and its modern outlook and commitment to sustainability meant that it was the ideal contractor for the Rosedale build. Balfour Beatty has a commitment to sustainability and has high demands of its suppliers including delivering goods within agreed specifications and time frames, a commitment to reducing waste and collaborating to achieve innovative solutions. samples and technical data efficiently to showcase the build quality of our product against competitors’. Additionally, Timco Wood is known for our commitment to sustainable building through using reconstituted timber and recycled HDPE throughout our product range and the cladding range is no exception. Our product was well received by the senior design management team at Balfour Beatty and we were selected to provide cladding for the whole project. We worked closely with the management and build teams at Balfour Beatty to foster good relations that have since seen us work together on other projects around the UK. The Rosedale Primary build was completed on time with great success. We look forward to being able to complete more sustainable-focussed projects in the near future.